heres my float on its second maiden voyage. It ran pretty good and didnt have any water leaks so I am happy. BEAUTIFULL! tell yer buddy to hit me up if he wants her twin in a v-drive model. ok sounds good, ill keep the spectra. i can come up there after big river and help you THIN THE HEARD . just messin around i wish i had the money for the v-drive, that thing is flat out bitchen, hell a harley wouldnt hurt either. here is another one. actually on the water in this pic. YOU CAN'T BE FIRST.........BUT YOU MIGHT BE NEXT. Couple new pics from Blythe. Gotta tell ya Keith.......looks mo' betta with the headers on it! Sounds pretty wicked too. The driver getting used to it? Well, that's never been a problem anyway, so why worry about it now? 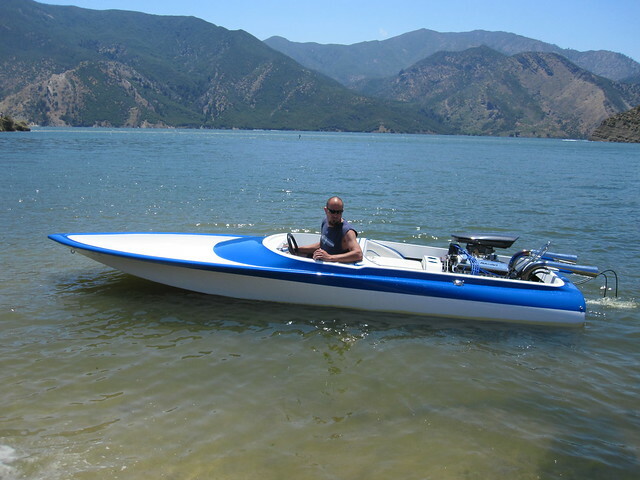 Dude, I am diggin' the livin' poo out of that blue flake .....(the finish on the boat LOL). Nice ride and welcome aboard. You know me, my 12"incher is upside down! from my quick little daytona, to this family wagon. 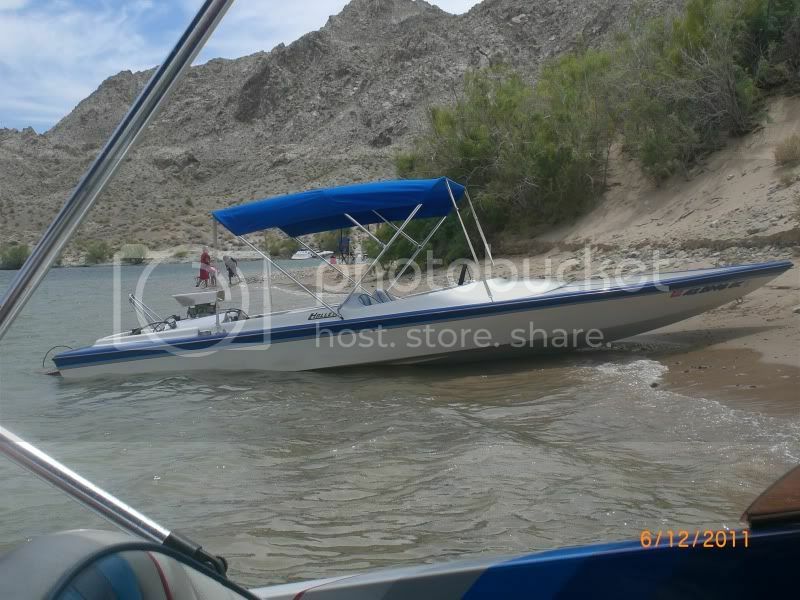 The only pic I have of my boat on water and I'm not even in the pic. That's a friend. 34 pages B rad lets make this sticky? Your Rogers looks like Steve King's MJ (Modified Jet) from the 70's Could it have had stars on the bubble and red/white stripes on the deck? If not It was probably built soon after Steve's boat because his was so sucessful Roger replicated a few without the star spangled treatment. What year is it? Mine was stiff when working it back and forth on the trailer. 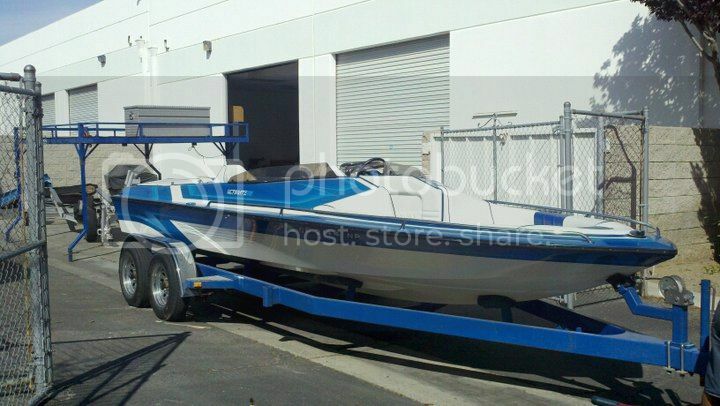 Once I got it on the water and under power, it was amazing!